Abstract: Rarely, human aging can dramatically speed up or slow down, resulting in devastating clinical consequences for patients. Two case histories are presented to illustrate this “relativity” of the human aging process. One patient suffered from progeria and aged rapidly, dying prematurely at 17 years-old. 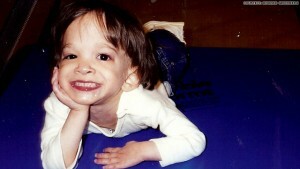 The second patient suffered from syndrome X and seemed not to age at all, remaining a toddler till her death at age 20. Despite their many handicaps, both patients lived inspiring lives that brought much love to their families and friends. To read a PDF of Len Hoenig’s inspiring article go to THIS LINK and click on Download. To read PDF of full article go to THIS LINK and click on Download. This entry was posted in Hoenig, Leonard J. and tagged disorders of human aging, progeria, syndrome x by humanemedicine. Bookmark the permalink.